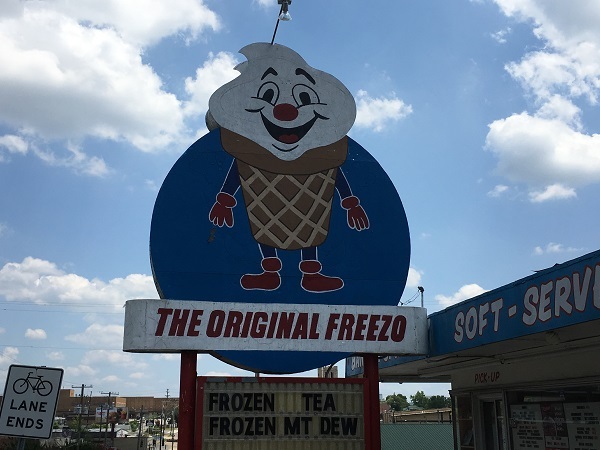 The Original Freezo, Knoxville TN – Marie, Let's Eat! 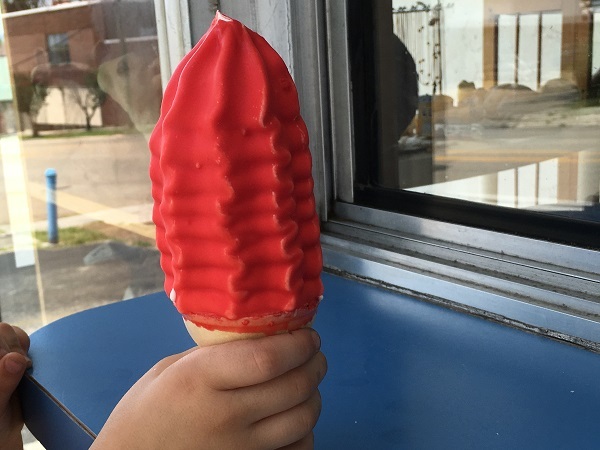 There’s a very neat old restaurant in a very neat old neighborhood called Happy Holler, and while the list of places in this city to get some ice cream is already as long as your arm, we have added to it. How in creation did I ever miss this place?! In all our trips to the Knoxville metro area over the years, we’ve visited more than our fair share of old drive-ins and walk-up dairy bars. The city genuinely has more surviving old-time places for burgers and ice cream than other metro areas twice its size. Then there’s this place, which popped up on a Google search for “interesting restaurants around Knoxville,” which I’d never heard of before, and which is celebrating its 70th anniversary this year. Freezo is in a small neighborhood called Happy Holler, which the Inside of Knoxville blog refers to as the city’s crazy uncle. It’s an old part of town that has gone through the requisite decay and danger and is slowly rejuvenating with some funky, oddball businesses and record stores. There’s even a tea room that caters to bikers and lovers of vintage pinball games which has been around for fourteen years. I think if I opened such a mishmash of a business, it wouldn’t last fourteen days. Neat little neighborhood, this. I’d like to come back and browse at Raven Records next time. My son had bravely and quietly grumbled through both of the barbecue stops on the way to I-40 since I’d promised him some ice cream. They have several dips available at the Original Freezo, and my son picked strawberry. Making him hold it still while I took a picture of it was like sheer torture to the poor starving urchin. I had a vanilla malt and it was delicious. Unsurprisingly, there isn’t any indoor seating at the Freezo, but they do have some old concrete picnic tables behind the building and underneath the shade of a tree. My son and I sat down with a woman who’d just come from having an MRI done at an area hospital, and was still wearing her wristband. That’s all she wanted to do as she worried over the procedure: get over to the Freezo for a comfort ice cream cone. 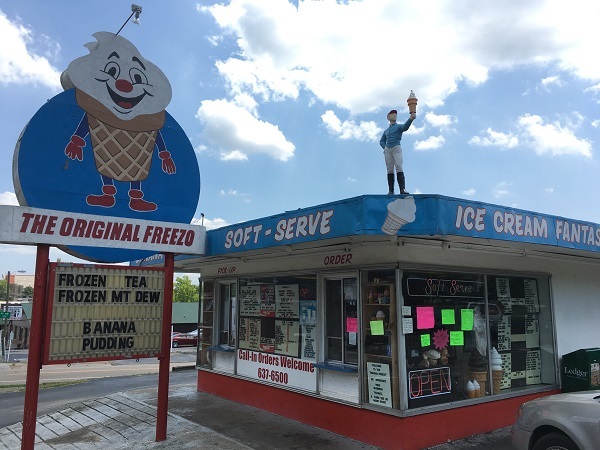 After seventy years, she’s probably not the first person who’s had something in life to worry about who just wanted to relax with an ice cream cone here. Posted on August 28, 2016 by Grant G.Posted in dairy bars, dessert, knoxville, tennesseeTagged dairy bars, dessert, ice cream, knoxville, tennessee.